On Christmas Day, the world will get a reboot nobody is sure they wanted: “Point Break.” The original film, directed by Kathryn Bigelow and starring Patrick Swayze, Keanu Reeves and Gary Busey, has become a cult classic since its release in 1991, with its wacky story of Johnny Utah (Reeves), an FBI agent who goes undercover with a group of surfers who may be responsible for a string of local bank robberies. The film has plenty of big wave surfing and one especially memorable scene where Utah jumps out of an airplane without a parachute to chase down a skydiving Bodhi (played by Swayze, himself a skydiving hobbyist who convinced producers to let him make an un-simulated jump on screen). 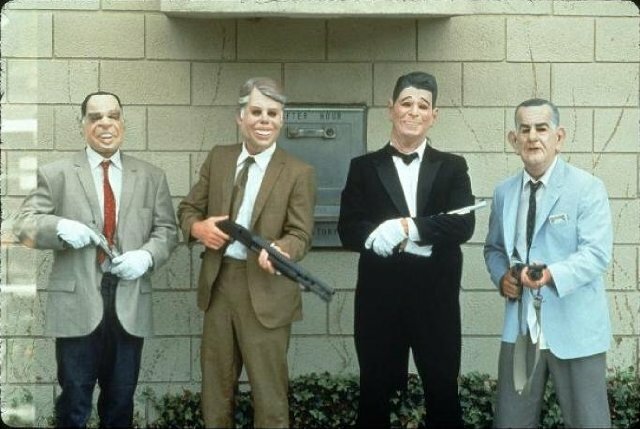 The beloved film even spawned a fan-made stage show “Point Break Live!,” where actors perform the film on stage and recruit an audience member to play Utah, who reads his lines off cue cards in an ironic nod to Reeves’ deadpan performance. The jury is still out on “Point Break” as a viable reboot, but the original “Point Break” and “Riding Giants” are two films that helped to shape the onscreen legacy of “extreme sports” like big wave surfing. 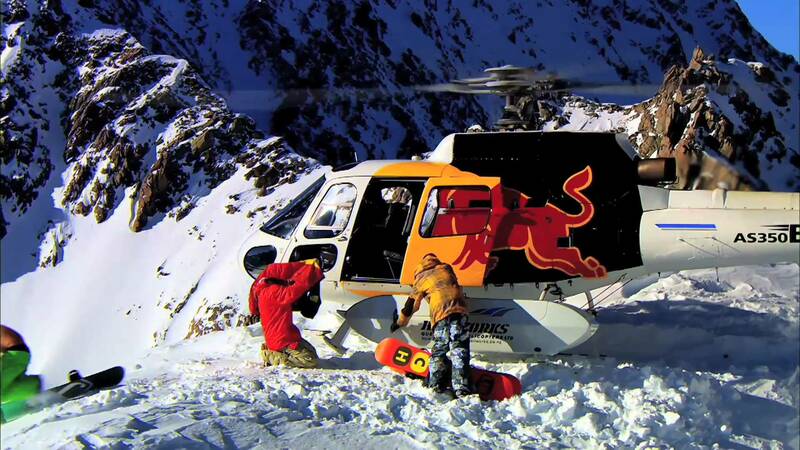 To celebrate, here are seven other films about action sports to get your adrenaline flowing. “Lords of Dogtown” is the definitive story of the birth of modern skateboarding, as told by the boys who revolutionized the sport. Professional skater turned filmmaker Stacy Peralta wrote the screenplay about himself (John Robinson) and his friends Tony Alva (Victor Rasuk) and Jay Adams (Emile Hirsch), members of the original Z-Boys who literally elevated skating by riding their boards in abandoned swimming pools, taking the sport vertical for the first time. Peralta, Alva and Adams all make cameos in the film and were there on set, choreographing skateboarding scenes and even acting as stunt doubles for their younger selves. The docudrama authenticity of “Lords of Dogtown” makes it one of the all-time great action sports films. Snowboarder Travis Rice has two gold medals, yet his biggest contribution to modern snowboarding might be “That’s It, That’s All.” Ski and snowboarding movies have typically been relegated to a rack behind the counter at your local ski shop, but Travis Rice broke that mold with this massive collaboration with Red Bull, an international extreme sports travelogue with cinematography that would look at home in an episode of “Planet Earth.” Rice and his friends didn’t take these gorgeous visuals as a reason to slack on performance though, landing groundbreaking tricks for the first time on film and bringing popularity to a type of backcountry snowboarding called “big mountain freestyle.” Whether or not you know the sport, “That’s It, That’s All.” will blow you away. The poster for “The Endless Summer” has been an icon for decades of surf bums, embodying the dream of a life with no job and no stress, traveling place to place to find the best waves. This is the seminal surf documentary, the last and best surfing movie by Bruce Brown (not counting “The Endless Summer II,” which was made after a 20-year hiatus from filmmaking, and isn’t quite the same), taking viewers on a tour from California to Hawaii to Australia to South Africa, with Brown’s snarky, casual narration always entertaining along the way. Add the iconic soundtrack by surf rock band The Sandals and this movie has all the warmth and fun of a summer vacation. Out of all the roller derby movies on the market (there are about four, and that includes the sci-fi film “Rollerball” and its remake) “Whip It” is by far the best. The directorial debut from Drew Barrymore is a wonderful ode to an underground sport, shedding light on its subculture of devoted fans. When Bliss (Ellen Page) decides to escape her mother’s prim-and-proper beauty pageant circuit, shr befriends a group of women who spend their nights delivering beatdowns on the concrete roller derby track. Barrymore, Zoe Bell and Kristen Wiig are all on the team (called the Hurl Scouts, one of many of the colorful nicknames that are part of the culture), and most of the actresses do their own skating. Ellen Page and the rest of the cast shine in this funny and outrageous film. 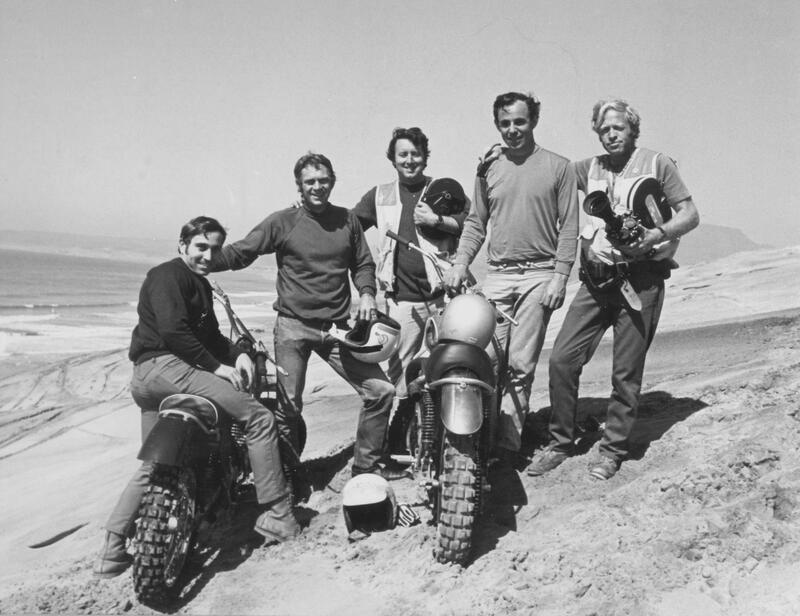 This is a another film from legendary action sports filmmaker Bruce Brown, made five years after “The Endless Summer.” “On Any Sunday” is the definitive motorcycle racing film, profiling motorcycle enthusiasts of all kinds, including legendary actor Steve McQueen. Brown includes all types of motorcycle sports in the film, from motocross to long distance desert races, highlighting the distinct personalities between the different types of riders. As much as his earlier films helped popularize surfing, “On Any Sunday” helped to popularize motorcycle racing and is every bit as entertaining, just a lot dirtier. If you’re looking for a compelling reason to never try to climb a mountain, look no further than “Touching the Void.” It is, however, one of the most compelling true stories of survival ever documented on film, telling the story of two climbers who got caught in blizzard while on the way down from a successful summit of Siula Grande in the Andes mountains. 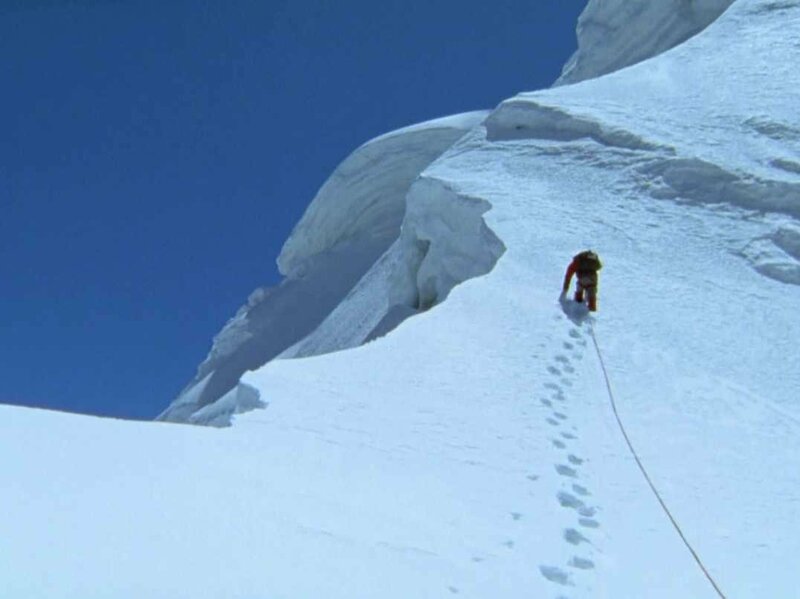 The two climbers recount the story of how they beat unbelievable odds through the pure will to live, intercut with harrowing reenactments of their icy descent. It’s a reminder how powerless humans can be in the face of danger, and a gripping story of friendship and loyalty between the two men. To give you an idea of the cult status of “Rad,” in 2013 a varsity jacket from the film’s 1986 promotional tour popped up on eBay with a price tag of $1,299…and it sold. That’s an impressive statistic for a film that to this day has never gotten a DVD release (although there is a thriving market for bootleg DVDs on the Internet). The film was released right at the boom of BMX biking in the mid-eighties, and inspired a generation of kids to take their bicycles out into the driveway and try to emulate the tricks they saw. To add to the mystery, “Rad” holds a 0% critical score on Rotten Tomatoes but a 92% audience score which, according to The Guardian writer Nick Evershed, is the biggest discrepancy of any film on the site. “Rad” stands out for the innovative, slick and often bizarre stunts, like a flatland BMX dance-off at prom. 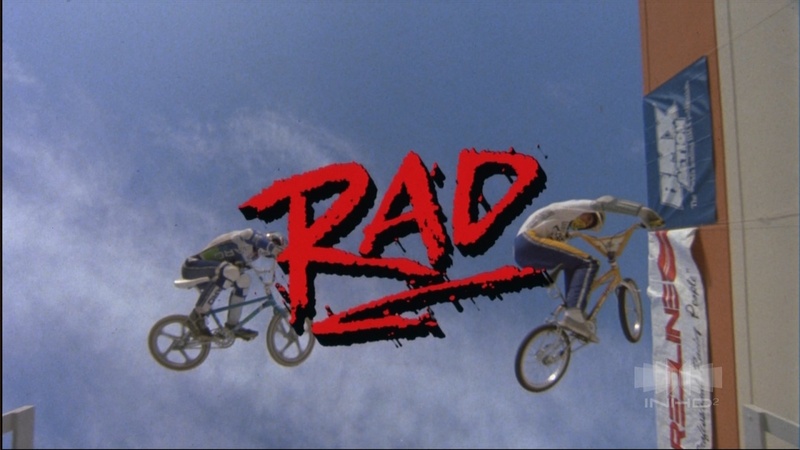 “Rad” is a must watch…if you can find it.